Since the release of Just Be, I am often asked if there is an audio version of my book. Having enjoyed audiobooks myself, I understand the interest. When we listen to a book, we take in the contents in a different way. 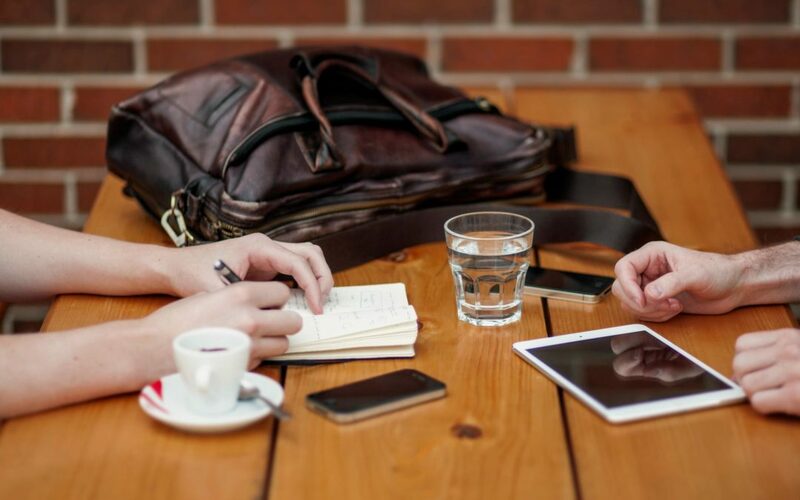 We are able to absorb and enjoy the words more deeply. We can relax our visual apparatus and be more open. And of course, it is nice to be able to hear a book being read to us as we do dishes or drive. Good news. There is an audio version of Just Be. It is not a recorded reading but instead uses the speech-enabled capability of the book. Don’t believe me? 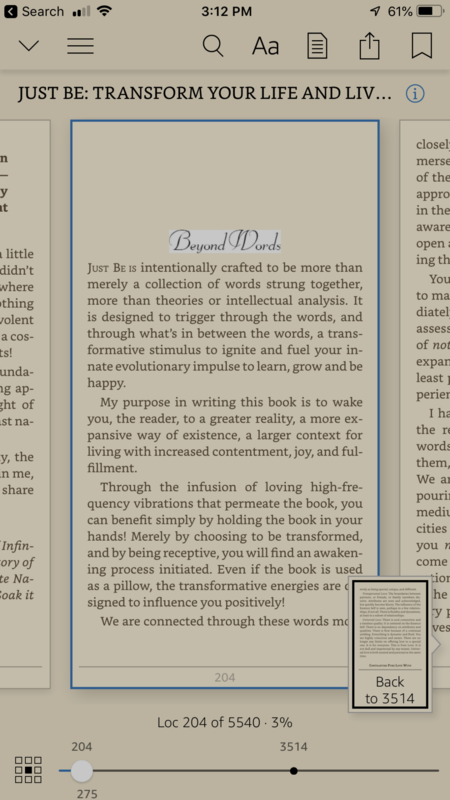 Click below to hear a paragraph from Just Be being read. It is surprisingly good. The above recording is what I hear if I ask my iPhone to read the Kindle version of Just Be. Here is the step-by-step guide on how to do that on the iPhone. 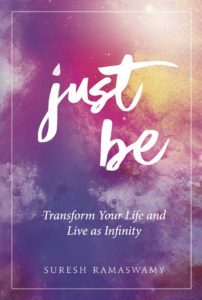 Get the Kindle version of Just Be from Amazon.com. Get the Free Kindle iOS app from the Apple Store. 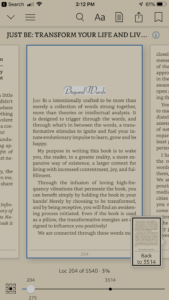 Open the Kindle app to access your purchased Kindle books. Click on the title Just Be to open it in the app. Navigate to the page you would like to start with. Swipe down two fingers from the top of the screen. Make sure your volume is turned up. You will hear the selected page being read to you. If you don’t zoom into a page, the audio reader will automatically flip pages for you as it reads. This is what the screen should look like when you swipe down with two fingers. You can change the speed of the reading per your liking with the onscreen controls. You can choose male/female and accent in Settings. You can skip forward to the next page or go to the previous page with the onscreen controls. You can listen to Kindle content on the Fire tablet with Text-to-Speech. Here is how to do so on 4th Generation and newer Fire tablets. 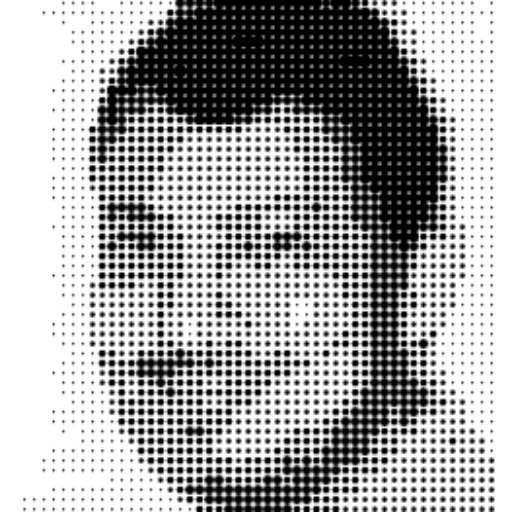 While reading, tap the center of the screen, and then tap the menu icon in the upper right corner. 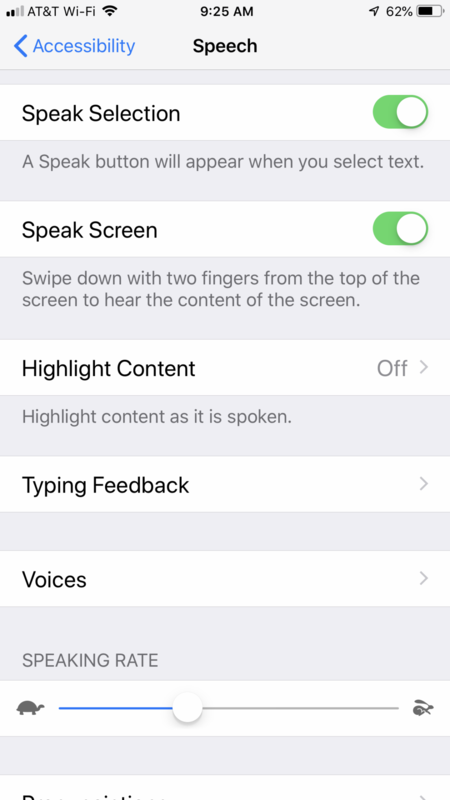 Tap Additional Settings, and then tap the switch next to Text-to-Speech to turn it on. In your Kindle book, tap the screen to show the progress bar, and then tap the Play button next to the progress bar to hear the text read aloud. 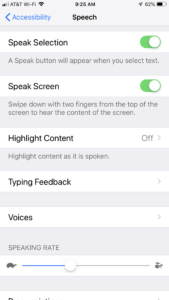 To increase or decrease the reading speed of the Text-to-Speech voice, tap the Narration Speed icon. Enjoy the audio narration of Just Be!